Southwestern Illinois Development Authority (SWIDA) and Bywater Development Group joined with Bi-State Development and other key stakeholders and guests for the official ribbon cutting celebrating the grand opening of Metro Landing of Swansea. 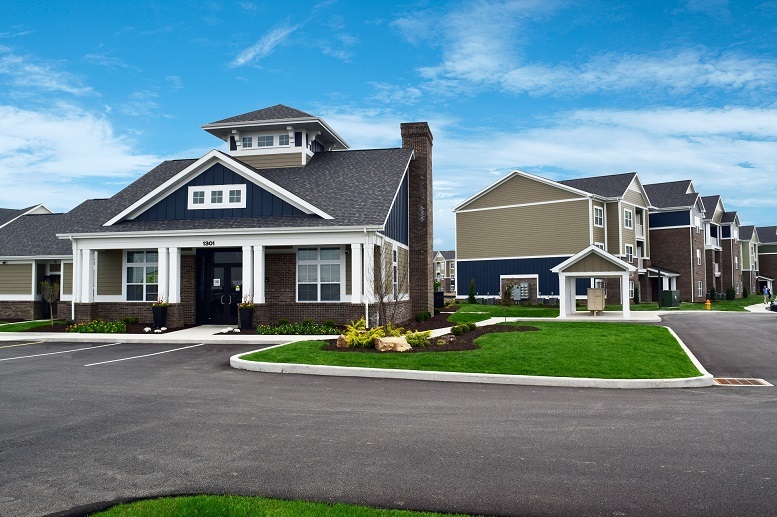 The $11 million, transit-oriented development (TOD) introduces senior apartment living adjacent to the Swansea MetroLink Station in Swansea, Ill., and has opened to strong demand. More than 40 of the 62 affordable one- and two-bedroom units have already been leased, and the property is on track to be full occupied before the end of March. Located next to the Swansea MetroLink Station, the handsome, three-story Metro Landing of Swansea caters to adults seeking an independent lifestyle at an affordable cost. 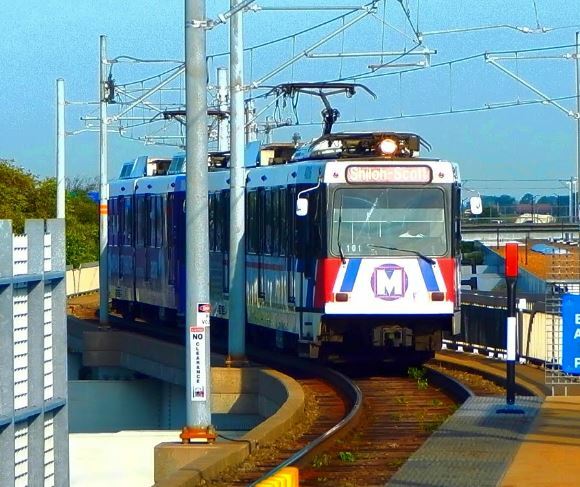 Residents will have car-free transportation options via MetroLink and MetroBus to conveniently access restaurants, retail, entertainment venues, recreational locations, employment centers, and medical facilities throughout the bi-state region. The Swansea Station is also located on the popular MetroBikeLink trail, so residents have the added bonus of being able to utilize the trail for exercise and recreation. 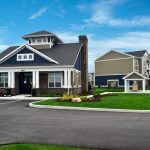 SWIDA and Bywater, which jointly developed the project, secured the majority of the financing from the Illinois Housing Development Authority (IHDA), with additional construction financing provided by PNC Bank. 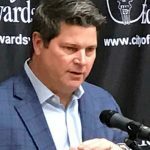 Additional support came from the Illinois Department of Commerce and Economic Opportunity (DCEO) and Ameren, along with the St. Clair County Intergovernmental Grants Department. 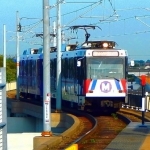 The Federal Transit Administration also played a pivotal role in the project, providing the necessary approval for Bi-State Development to sell the ground at the transit center to the developers for this project. Adding to the cause for celebration at Monday’s ribbon cutting was the recent news that Metro Landing of Swansea captured the 2019 Wyvetter H. Younge Award recognizing champions in affordable housing. 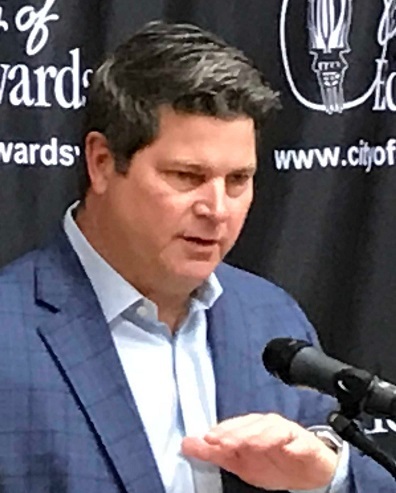 The award was presented in late February at the 2019 Illinois Governor’s Conference on Affordable Housing, co-hosted by the Illinois Housing Council and IHDA. The Wyvetter H. Younge Award is presented annually in recognition of outstanding affordable housing developments or initiatives in a metropolitan area outside of metropolitan Chicago. Metro Landing of Swansea received the top score in that category, which seeks to honor developments and initiatives that improve quality of life for residents and the health of the overall community. Working through a robust partnership, SWIDA and Bywater Development Group aim to build on the success of Metro Landing of Swansea and continue to contribute to the region’s active senior housing choices with three new communities that would also be developed in partnership. In Belleville, this partnership is actively leading the soon coming redevelopment the Historic Hotel Belleville/Meredith Home into the Lofts on the Square and, in Highland, these parties are working through predevelopment activities on a new 48-unit affordable senior housing development – Highland Villas. Both of these developments have been awarded IHDA tax credits and, pending the timing of closing on financing, could be under construction as early as Q2 of 2019. In Carlyle, this team is laying the groundwork for another 48 units in the proposed Lakeside Villas. Rents start at $565 per month for a one-bedroom apartment and $705 for a two-bedroom apartment. For additional details, call 618-726-2094. The Southwestern Illinois Development Authority is a special-purpose, municipal corporation and local governmental unit whose purpose is to promote and enhance economic development within the counties of Bond, Clinton, Madison and St. Clair in Illinois. To learn more, visit www.swida.org. Bywater is a St. Louis-based development company primarily focused on affordable housing and community development. 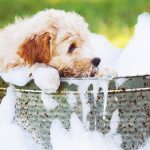 The organization is presently active on a wide variety of developments and redevelopment initiatives throughout the Midwest and Southeast regions of the country. To learn more about Bywater’s activities as a developer and co-developer of high-quality affordable housing and informed, impactful community building please visit www.bywaterdevelopment.com. With 60 days left on the calendar, the City of Edwardsville can already say 2018 has been a record-breaking year with regard to commercial and residential construction dollars being pumped into the Metro East community. Year-to-date figures for the first 10 months of 2018 indicate that construction projects breaking ground in Edwardsville thus far this year total a whopping $122.6 million, a 19.2 percent increase over all of 2017. 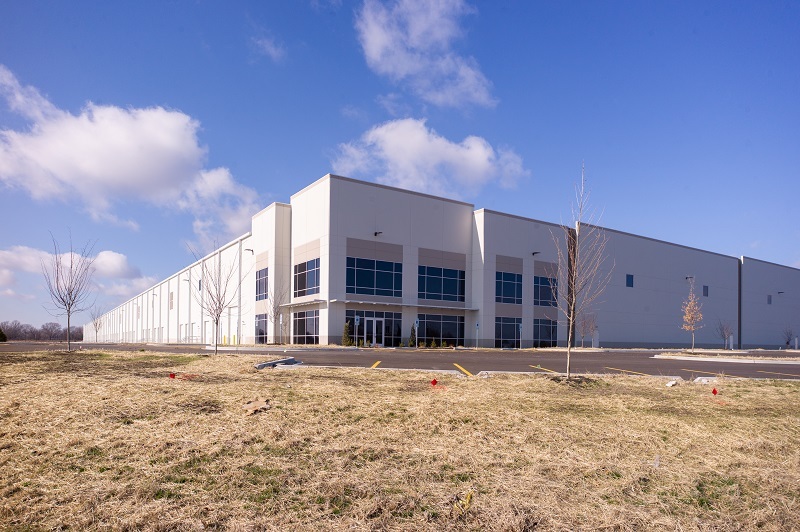 Edwardsville-based Contegra Construction and Highland-based Plocher Construction are leading the way in new commercial construction projects this year, according to Williams. 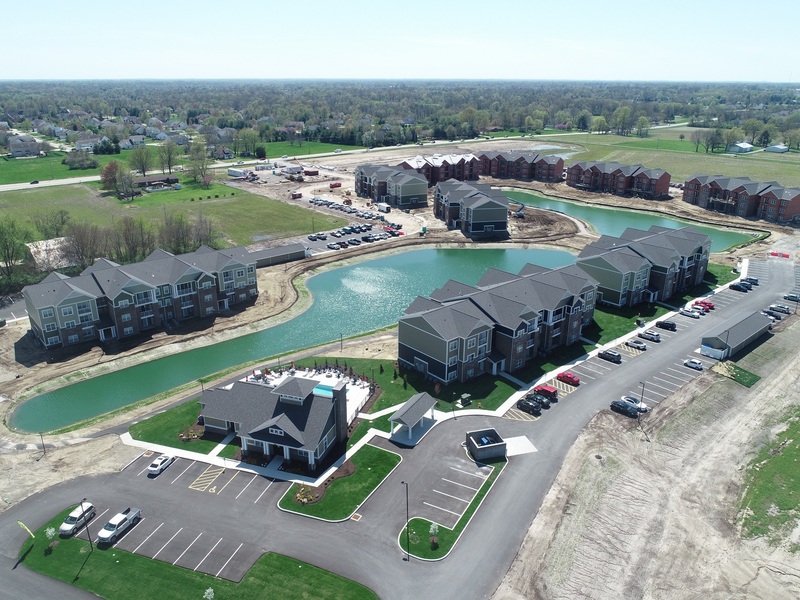 Among Contegra’s 2018 projects are the New Poag Richland Residential Project, a $20 million, 9-building, 486-bed housing community on a 15-acre site very near Southern Illinois University Edwardsville, and Timberlake Village, a $3.2 million retail center along Illinois Route 157 that features Kyoto Japanese Steakhouse. 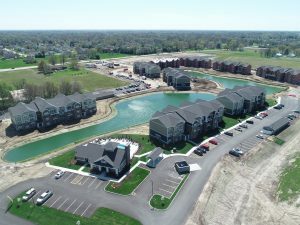 Plocher Construction’s 2018 work in Edwardsville includes Edwardsville Town Center, a mixed-use development spanning 26 acres at Route 157 and Governors’ Parkway, directly across from SIUE. The $35 million, 75,000-square-foot-plus project will also feature residential apartments with multiple outlots for future tenants. Williams said that in all of 2017, new construction dollars permitted by the City of Edwardsville totaled $102.8 million. Finishing in less than 3 months and ahead of schedule, IMPACT Strategies has completed the new Washington University* Pediatric Facility on Memorial Hospital East Campus in Shiloh, IL. 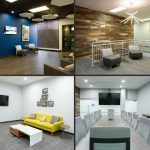 IMPACT Strategies worked closely with BJC HealthCare and Washington University Pediatrics, in partnership with St. Louis Children’s Hospital, to ensure their medical office, reception area, and exam rooms exceeded expectations. This will be the first Washington University Pediatrics multi-specialty office outside of Missouri, giving Illinois residents direct access to the exceptional services they have to offer. IMPACT Strategies used a majority of local subcontractors and worked with Archimages as the architect on this project. The construction of this first-floor tenant finish was accomplished without any interruption to the daily operations of the active medical office building or patients navigating in and out of the building. IMPACT Strategies provides client-focused construction management, design/build, and general contracting services. To learn more visit BuildwithIMPACT.com or call 618-394-8400 or 314-646-8400. 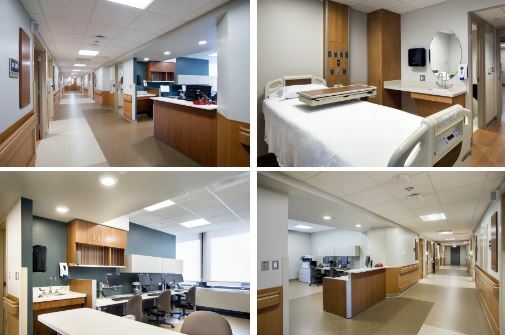 McGrath & Associates has completed a $1.5 million renovation of the second-floor patient care unit at Memorial Hospital Belleville in Belleville, Illinois. McGrath served as construction manager on the project. Archimages was the architect and Horner & Shifrin was the engineer. McGrath converted one wing of the second floor from shared pediatric patient rooms into 12 private adult patient rooms, while adjacent wings remained operational and occupied by patients. McGrath implemented strict isolation and infection prevention measures to ensure a clean and safe environment for patients, staff and visitors. The project was completed on an accelerated schedule of just five months. IMPACT Strategies recently teamed up with J.R. 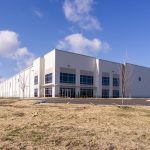 Rentals, LLC to complete their 114,000-square-foot warehouse and office building for Weir Parts Distribution in Red Bud, Illinois. 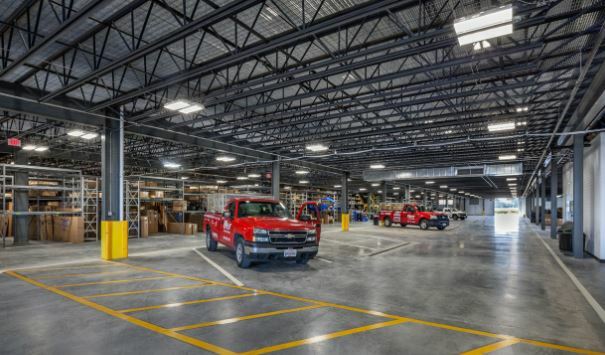 The new top-of-the-line facility for the all GM, all Ford, and Chrysler-Dodge-Jeep-Ram parts dealer was designed by Quadrant Design, Inc, of Waterloo. “Until now, our business operations had been spread out over 10 different storage buildings. 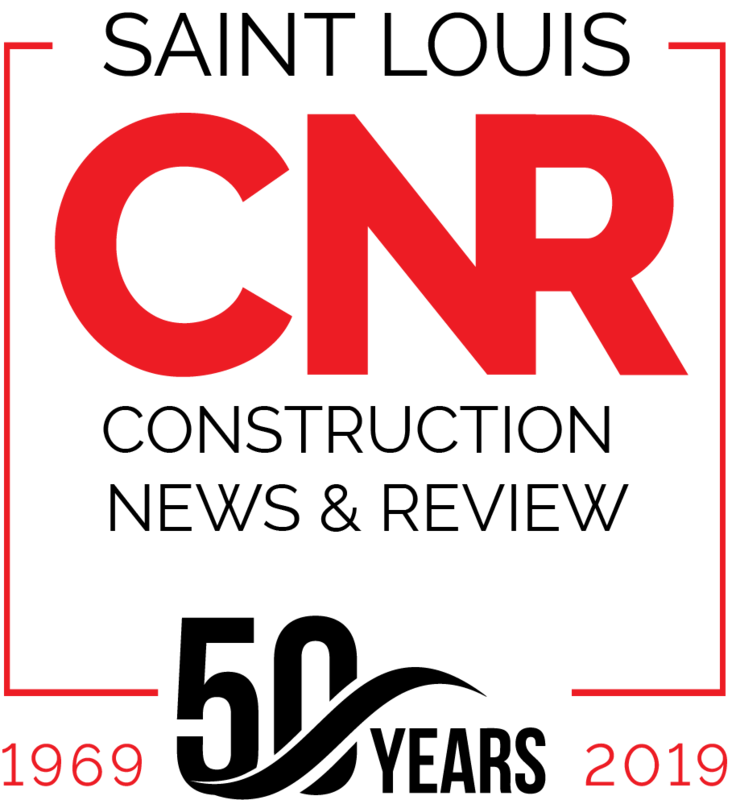 The new facility enables us to consolidate our operations, which undoubtedly will benefit our employees and customers,” said Norman L. Roy, owner of Weir Parts Distribution. 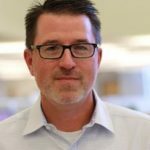 “I couldn’t have been more pleased with how IMPACT Strategies handled the challenges along the way. Even the weather didn’t stand in their way to get this project completed on time,” he added. Substantial efficiencies are expected to be gained with the new facility and its custom technology and conveyors. The warehouse has space to accommodate the 74 trucks in Weir’s fleet and office space for their 100+ employees. Holland Construction Services, Inc. (Holland) will begin work in March on an expansion project for New Life in Christ Interdenominational Church in O’Fallon, Illinois. This expansion will provide much needed space as the congregation continues to grow. The $3.8 million dollar project involves the expansion and renovation to the church’s sanctuary. This will increase seating capacity to 1,100 from the current 450. The expansion also includes a new west entrance and a large gathering area in the two-story open narthex, café and bookstore. An elevator is also being added to access the second floor and expanded sanctuary balcony. The second floor will provide additional office and more gathering spaces overlooking the narthex below. In addition to the building expansion, the project will also provide additional parking and a circular drop-off drive at the new west entrance. This is the second project Holland has completed for New Life in Christ Church. The first was in 2011 which also involved an expansion. HCO, Inc. out of Indianapolis, Indiana is the architect on the project. Completion is set for this summer. Holland Construction Services is a full-service construction management, general contracting, and design/build firm based in Swansea, IL. 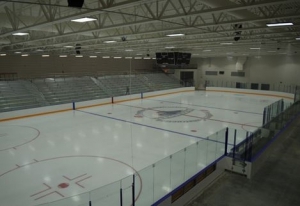 Student Athletes at McKendree University, Southern Illinois IceHawks youth hockey organization and the general public now have a new recreation center to call home in O’Fallon, IL. The McKendree Metro Rec Plex recently opened to the McKendree University men’s & women’s hockey teams, giving them a new facility to call “home ice”. 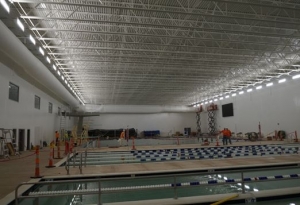 Soon the school’s swimming, diving, and water polo teams will likewise be calling the recreation center home in their Olympic and NCAA Championship caliber natatorium. 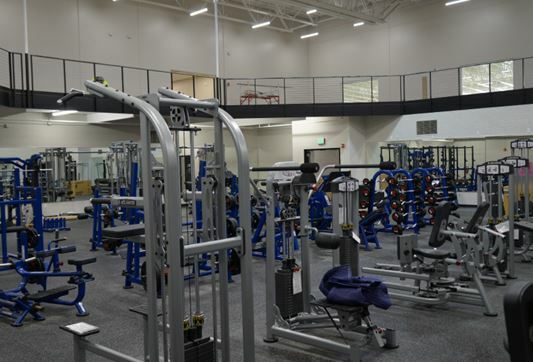 In total, the 160,000 square foot facility features two NHL-sized ice rinks, an aquatic center fit with a 10 lane championship swimming pool, a separate recreational pool, a contemporary fitness area including a half court gym, elevated walking track, free weights, cardio equipment, and many other amenities such as party room and conference facilities. With more than two years of planning and design for the facility, the McKendree Metro Rec Plex will anchor the larger development on the 45 acre site known as The Four Points Center consisting of retail, hospitality, and professional office space.